These are examples of the Product Photography we have been working on for Coventry based Rightangled Diagnostics. The company Specialise in providing Cardiac, Diet and Fitness DNA tests for cardiologists and personal trainers. 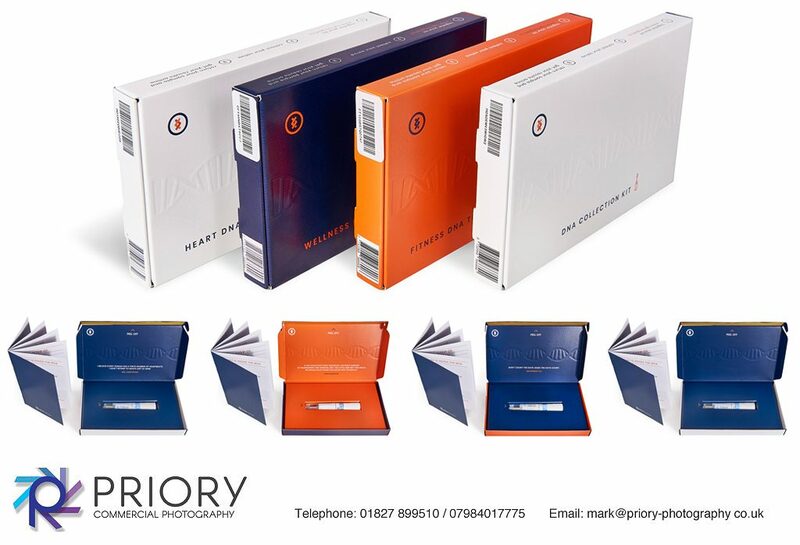 Our brief was to photograph their newly printed DNA Kit packs so they can be displayed on their website and used in printed marketing material.